Welcome! Thank you for your interest in carrying my line of greeting cards! 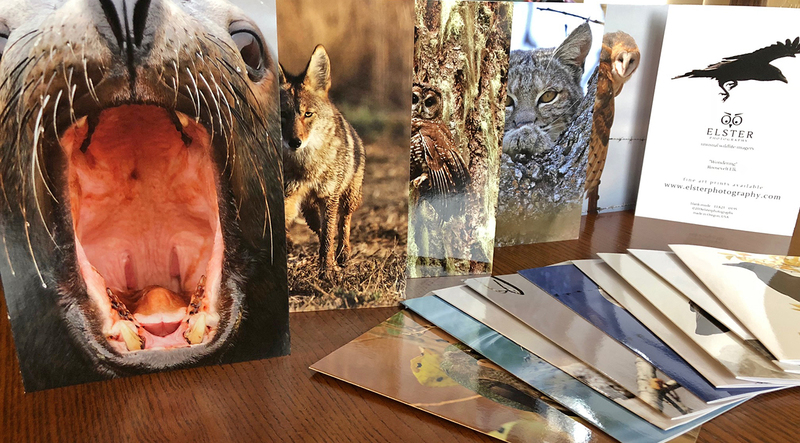 -All of my cards are printed locally in southern Oregon. I use 12 pt. card stock, a bit thicker and nicer than the industry standard. - Razor sharp, glossy, full bleed images of my very best work. 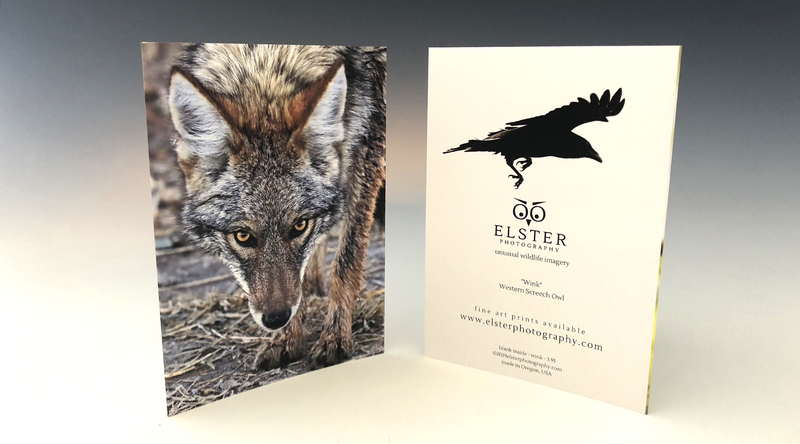 - Card backs have image title, species, and one my more unusual raven photographs for a high end, fine art look. -Easy online ordering system if you'd like to browse designs and/or order with a credit card. I'm also happy to discuss payment terms with repeat customers. I have a large variety of images and subject matter!